I'm looking for a pallet fork for a 3-54 Molnija pocket watch. I can trade for Vostok, Poljot or Slava parts. Last edited by vpn; February 15th, 2013 at 20:52. 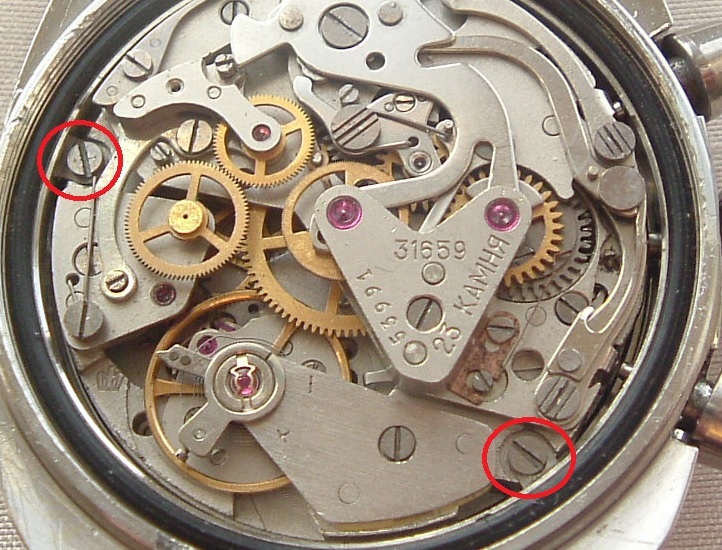 Looking for 2 movement retainers with screws for my sturmanskie. I was also searching for the screws and clamps about a month ago. Maybe you could try to ask your local watchmaker to look for those, he may find different ones, but some may fit the threads of your 3133. Not necessarily the same screws and clamps, as long as it would fit and hold the movement, it's all good. If you have a spare Amphibia bezel in good conditions, without worn chrome plating, please send me a PM. I'll be grateful. Thank you! Hello, I'm looking for a complete set of hands for my Strela 3017.... Can anybody help? I am sorry to say that it is unlikely you will have any luck with your request; such hands sets are almost impossible to find (I have been looking a long time). And the e-bay replacements are a poor substitute: The chrono seconds has the wrong leaf shape at the end and the hour and minute hands are too wide (especially the hour) and too flat. 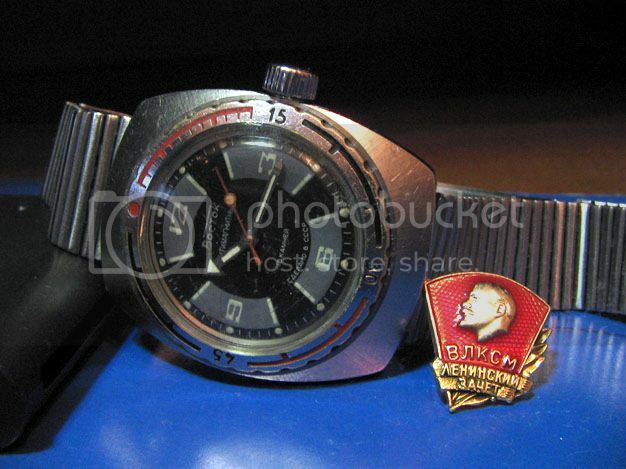 I have a Soviet era 3133 chrono and need a "C" ring retainer and return spring for a pusher. I have parts to trade from Vostok, Poljot and Slava.